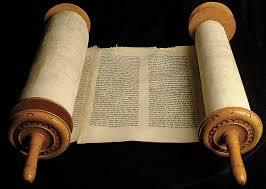 A man argues that the law of Moses was binding until Jerusalem was destroyed by the Romans in A.D. 70. One of the passages used to support his position is 2 Corinthians 3:11, which states that the law “is passing away” (NKJB). Therefore, it had not yet been removed. What are we to make of this? Of course these terms are redefined to conform to their peculiar theological agenda. Another feature of this unusual dogma is that the law of Moses was not “completely fulfilled” until A.D. 70, and that the citizens of “fleshly Israel” (i.e., those Jews who had not accepted the gospel) were still “under the law” (see Max King, The Spirit of Prophecy, Warren, OH: King, 1971, pp. 268-269). It is alleged that between the day of Pentecost, and the time of Jerusalem’s fall, there “was an overlapping of the covenants” (Marion Morris, Christ’s Second Coming Fulfilled, Winchester, OH: Mitchell, 1917, p. 39). For a more thorough study of this matter, I highly recommend W. Terry Varner’s book, Studies In Biblical Eschatology, Marietta, OH: Therefore Stand Publications, 1981. Several things may be said preliminary to a discussion of the Corinthian passage. Paul clearly affirmed that through the death of Christ the Jews had become “dead to the law” of Moses (Romans 7:4). The marriage illustration employed shows that just as a woman is free to remarry when her husband dies, so the Jews were free to be joined to Christ because the law was no longer a binding upon them (vv. 1-3). They were “discharged” from it (v. 6). The apostle depicted the Mosaic law as a tutor, designed to bring men unto Christ in order that they might be justified by faith. But now that “the faith” (with the Greek article, i.e., the system of faith), had come, they were “no longer under a tutor,” i.e., the law (Galatians 3:24-25). This was possibly some twenty years before the fall of Jerusalem. Jesus “abolished” the “law of commandments” by means of the death of “his flesh,” and the shedding of his “blood” when he died on “the cross” (Ephesians 2:13-16). Moreover, the application was the same for both Jew and Gentile (i.e., those “near” and those “far off” (v. 17). Those who contended that the law was still operative as a means of justification were “severed from Christ,” and were described as “fallen away from grace” (Galatians 5:4). They were depicted metaphorically as “dogs,” “evil workers,” and “mutilators” (see “concision”) of the gospel (see Philippians 3:2). In a text that has obvious reference to the law of Moses, Paul declared that “the bond written in ordinances” that “wasagainst us, which was contrary to us,” Christ “has takenout of the way” by “nailing it to the cross” (Colossians 2:14; cf. Ephesians 2:15; emp. WJ). Note carefully the past tense form of the verbs emphasized. The writer of the book of Hebrews declared that when there is a change in the priesthood, there is “of necessity” a change also of the law (7:12). However, when the epistle of 1 Peter was written, Christians were already designated as a “holy priesthood” or a “royal priesthood” (2:5,9; cf. Romans 12:1; Hebrews 13:15-16; Revelation 1:6; 5:10; 20:6).The former priesthood had been replaced. It is almost universally recognized by conservative scholars that 1 Peter was written in the 60’s — probably around A.D. 64; thus, before the fall of Jerusalem. The Levitical priesthood, as well as the law, were divinely terminated already. On the other hand, if the Jews were still under the law of Moses between the cross and A.D. 70, then they were likewise still under a priesthood in which animal blood was redemptive, even after Jesus had already sacrificed his life for them. Such makes no sense. If, however, the law of Moses was abolished at the death of Christ (A.D. 30), why does Paul suggest, in 2 Corinthians 3:11 (which was penned some 26 years later), that it was “passing away” (a present tense participle)? There are two possible, and quite reasonable, explanations for the present tense form. The context indicates that the apostle is drawing a contrast between the fading glory of the first covenant, and the undiminished and permanent glory of the “new covenant” (vv. 6,14). Thus, consider the following. Though the redemptive element of the Mosaic law was abrogated at the cross, the civil aspect of the regime continued on until A.D. 70, when the complete destruction of the Hebrew system of jurisprudence was implemented by the Lord. God sent “his armies” and brought down the last element of the former politico-religious economy (Matthew 22:7). The system as a whole was removed incrementally. Too, as the influence of the gospel of Christ invaded the hearts of thousands of Hebrew people (cf. Acts 2:41; 5:14; 6:7; 8:6, etc. ), it was apparent that the “glory” of the former administration was fading.It has been estimated that by the time Stephen was martyred (Acts 7:60), the Jerusalem church consisted of no fewer than 20,000 Jewish souls (Simon Kistemaker, Exposition of Acts,Grand Rapids: Baker, 1990, p. 148). This represented more than one-third of the estimated 55,000 citizens in Jerusalem at that time (Joachim Jeremias, Jerusalem in the Time of Jesus, London: SCM Press, 1969, p. 83). It thus is quite clear that the Hebrew system was in the process of “passing away” as an influence affiliated with Jehovah God. There is no need to resort to the fanciful ideology of the “realized eschatologists” to explain the present tense form in the Corinthian text under review. There are several important points that should be considered with reference to this alleged problem. No interpretation can be forced upon Hebrews 8:13 that brings it into conflict with other clear passages (even in this very epistle) that affirm the Mosaic law, as a divinely-operated religious system, was abrogated at the cross. “Now if perfection had been[imperfect tense — activity in the past] attainable through the Levitical priesthood. . . ” ( 7:11). The oath by which Christ was appointed high priest was “after the law,” i.e., in the post-Mosaic period ( 7:28). “If the first covenant [law of Moses] had beenfaultless, there would have been no occasion to look for a second” ( 8:7). The first covenant “hadordinances” ( 9:1), etc. These phrases obviously view the Mosaic regime as a by-gone system — from the divine viewpoint. On the other hand, when the writer of Hebrews spoke of the Mosaic Covenant as “becoming old” (“obsolete,” ESV), and being “near vanishing away” (i.e., ready to disappear), he may not have been speaking from the ideal vantagepoint as such would be understood by the informed Christian. Rather, he may have expressed the matter in terms of the current Jewish practice. The vast majority of the Jewish community had rejected the Messiah and his New Covenant arrangement. Hence, they continued to rely upon the Levitical system. But such was a futile hope, for the entire Jewish economy (civil and sacerdotal) was on the verge of passing away. This eventuality would be realized in the downfall of Jerusalem in A.D. 70 — which was imminent when this letter was penned. Some scholars take this to be the significance of the present tense forms in Hebrews 8:13. But there may be another way by which to interpret the present tenses of this passage. The inspired writer had just quoted a declaration from Jeremiah that foretold the coming of a “new” covenant (Jer. 31:31-34). The writer of Hebrews, therefore, might well have been constructing an argument in this vein. Viewed in this light, the present tense forms of the verbs are what grammarians would classify as gnomic presents, i.e., present tenses that affirm “a general, timeless fact” (cf. Daniel B. Wallace, Greek Grammar Beyond The Basics, Zondervan, 1996, p. 523). Hebrews 3:4 is a good example from this same document. “Every house is built by someone.” The present tense form, “is built,” does not refer to a particular house being built at that time; rather, it simply states a propositional truth — the building of a house always requires a house-builder. “‘Near to vanishing away,’ like the descriptive present participles, does not refer merely to the present time of writing but to anything that at any time is in such a condition of decreptitude” (R.C.H. Lenski, Interpretation of Hebrews and James,Augsburg, 1966, p. 272). We must confidently affirm, therefore, that no argument can be grounded in Hebrews 8:13 that provides comfort for those who allege that the Mosaic code remains today as a divinely-bound spiritual system.